During my lifetime I have come to know or be exposed to a lot of diverse people. These are people that come from different backgrounds; some smart and some not; some blue collar and some white collar; some highly educated and some not; some white, some black; some hard workers and some not; and some with common sense and a whole lot with none. What I have observed, across this diverse group of people, is that most people today are so caught up in living their lives and just trying to survive, they aren’t really aware of what’s going on around them that has a major influence on their life. Their knowledge and opinions, if they have one, are solely based on what they see on television and/or hear from a friend, neighbor, or relative without ever seeing the big picture for themselves. They either lack the intellectual curiosity to find out for themselves, or they have become intellectually lazy. Intellectual curiosity means you want to know more than the basics or the common knowledge. It is the desire to invest some time and energy into learning more about a person, a thing, a way of life, or a concept. Basically, it is the desire to learn more. 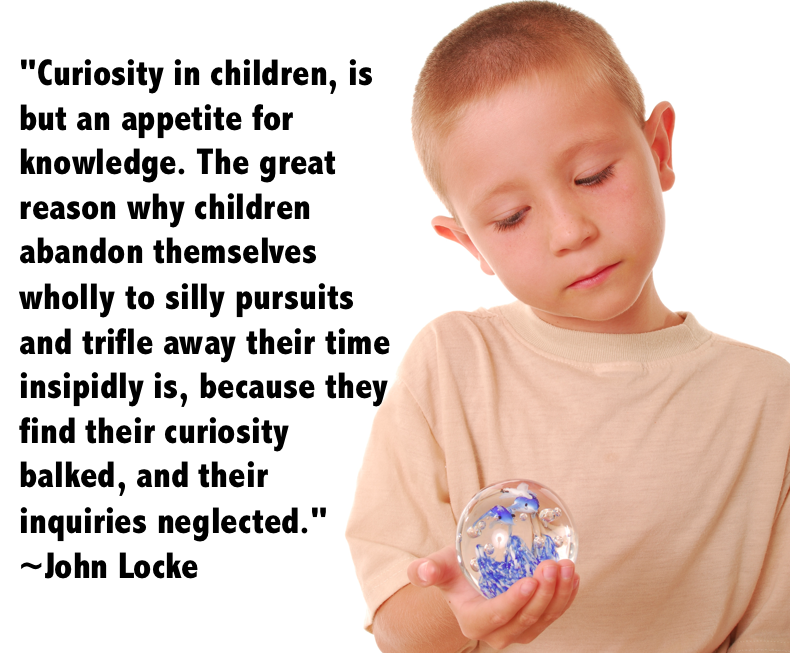 Children have an over abundance of intellectual curiosity. To a young child, everything is new. They want to know more. They want to learn more. They are like a sponge, absorbing more than just the obvious or the basics. What is a cloud? How did they get there? What makes them move? How does rain come out of a cloud? However, children grow up, they have responsibilities, and they get distracted by the day-to-day worries and challenges of life in today’s environment. 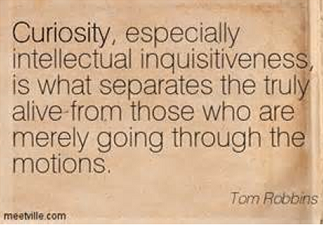 At some point intellectual curiosity has taken a backseat for a lot of people. As a result, people have become gullible, submissive, and intellectually lazy. Everyone is running so hard and fast just to survive, they don’t have time to pay attention to what’s going on around them. We have become a populace of sheep, such that we just follow along, don’t ask questions, and do whatever we’re told to do by the talking heads on television and radio. This is especially true of politics. Case in point: Teabaggers and their followers. Why do they think this of their followers? Because they know their followers won’t question them, they will believe what they are told and will do whatever they are told to do. Typical sheep mentality. We are living in such a toxic environment around us, it is critical for people to be informed and knowledgeable of current events. In a world where the internet is available to us 24 hours a day on our computers, even on our telephones, there is no excuse for not being informed and knowledgeable, it’s ridiculous. How can anyone sit back and not question what’s happening with our food supply (genetically modified foods); industrial pollution of our water and air; militarization of our police; voter rights suppression; climate change; income inequality; fracking; politicians and government being bought and paid for by the ultra-rich; climate change; radical religious ideology; and more. If you don’t know what I’m talking about, then look it up. Do a little personal research. Develop your own opinions based on your own knowledge of the issue, not on what someone else tells you to think. Then when you are conversing with others and someone starts spewing the typical uncontested talking points about a topic, you have the knowledge to enhance the conversation with facts. 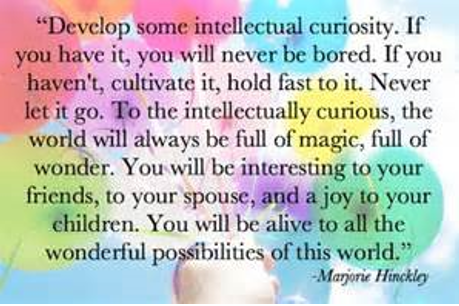 If you have children, don’t shut down their intellectual curiosity, encourage it. We need them to grow up to be informed, knowledgeable, and intellectually curious adults. Regardless of your age or position in life, it is not too late to jump start your intellectual curiosity and become informed and knowledgeable of the events and activities that are impacting your life on a daily basis.